Outdoor lighting is ideal for safety, beauty and making the most of patio and yard areas after dark. Form meets function in decorative solar lighting and solar stake lights for every space and design scheme. Improve security and reduce tripping hazards by lighting pathways, grade changes and entrances. London Drugs supplies all the solar lighting Canadians need to illuminate the outdoors. Outdoor lighting has never been easier. Eco-friendly solar lighting is powered by the sun and simple to install. It's as easy as pressing stakes into the ground or placing a lantern atop a post. No need to worry about reaching the nearest outlet or bringing in an electrician for custom wiring and installation. Choosing solar lighting means no more hunting for a longer power cord, power failures, energy bills for outdoor lighting, batteries to change or tripping hazards. 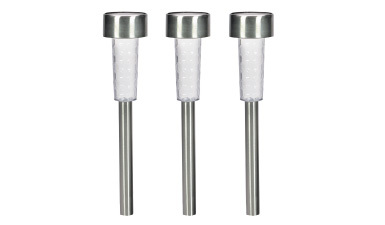 Solar stake lights are a great choice for flower beds, water features and pathways. Wireless and simple to install, they can be used to provide unobtrusive illumination along trails for safety and convenience. And since they're available in a variety of styles, they can decoratively enhance nighttime appeal of a property or highlight yard features. 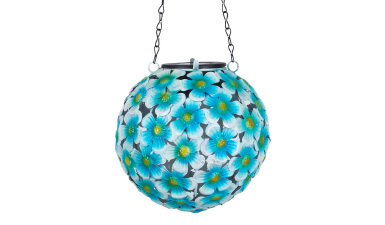 Decorative solar lights come in many shapes, sizes, hues, levels of brightness and styles. Cap fence posts create a festive atmosphere on the patio, or they can be incorporated into lawn and garden spaces for a pop of colour or to tie together a design scheme. 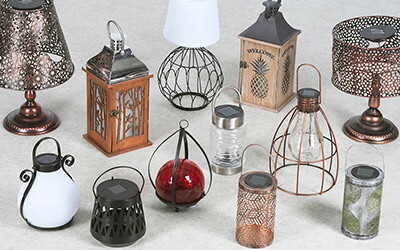 Pair solar lighting with a fire pit or grill, outdoor speakers or wet bar to keep the poolside party, backyard barbecue or drinks on the patio going after dark. Outdoor lighting can create a bright pool of space for elegant entertaining or add a subtle, magical glow to the yard.